I downloaded Nextdoor about a year ago, curious after having heard a story from my coworker about how in Russian Hill it was helping her feel connected to her neighbors. I opened and scrolled through the feed, and noticed a posting advertising the first annual “Mission Terrace Garden Tour.” It promised “urban homesteads, drought-tolerant landscapes, glass-filled pathways, labyrinths, succulents, and blooms galore. Something for everyone,” they said. It was a sunny Saturday afternoon, and we went. The walk was an opening of houses to showcase gardens. In Mission Terrace, where we live, there are stretches of awesome, entire-block-long backyards. At the first house we walked to, a 2-story right off Balboa Park, a woman sat in a lawn chair inside the garage handing out cookies. Simone was obviously smitten, as a 2-year-old gets when given cookies. She pointed us back through, and we walked through their very normal garage full of boxes and art and old furniture into a backyard that stretched back at least 300 feet. The owner greeted us. A sizable greenhouse sat in the back, and to the side, a long section for composting. Row by row of gorgeous and slightly wild plants passed us by as we toured. The owner told us about the special worms used for composting, and offered to give us some, anytime. We took a peek inside the greenhouse. A little Buddhist statue sat atop a large fan blowing hot air. The owner remarked that the greenhouse was most beautiful on a rainy day, sitting inside the warm hut with a joint listening to the pounding rain. The next house, and the next house, and the house after that – they were all a blur. Genuinely nice people offered us strawberries, geeked out with us over landscaping and offered us wine. Simone tragically poked her hand into someone’s cactus and screamed while the homeowners rushed to get tweezers and snacks to distract her (we pulled out the spine, all was well). We kept on with our journey, and visited one woman who had recently transformed her backyard into an oasis complete with glass pebble walkway, multiple fountains and a breezy art studio. She handed me a glass and proclaimed, “Welcome! It’s rosé day!” As we left, others entered. More rosé. As we were making our way back home (4 or so blocks), we passed a house that butted up against an easement. There are many of these easements in Mission Terrace; they’re an easy access point for PG&E from behind the house, so there are these barren trails behind the houses between blocks. As we chatted with the homeowner, he told us about a dinner that happens every year in September, the Alley Pasta Dinner. But that’s a story for another time. 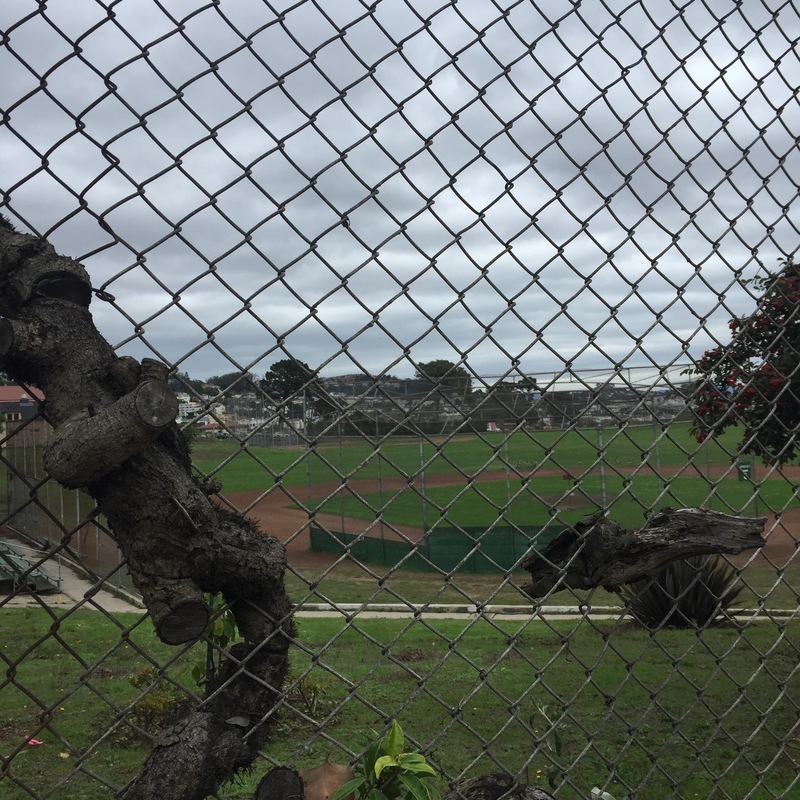 All along the chain link fence by the baseball fields, there are pieces of tree root merged with the steel. From a distance, they look like a shoddy cleanup job, but up close, you can see where the gardener tried with all his might to break the pieces off the fence, and failed. You can see chop marks on the steel, and imagine the sweat on the brow of the body wielding the axe. But the pieces of wood remain glued to the metal links. Sometimes a piece remains despite everything you try to do to remove it. Maybe you just need to try harder to remove it. There has to be a way. Maybe you’re just not doing it right. Or, maybe it’s not meant to leave. There must be a reason it remains. Maybe you should just let it be. Learn to live with it. Let it sit there, incomplete. Hacked apart by previous attempts at removal, a reminder of steadfastness and to stay in the face of adversity. Nah, I’m pretty sure it’s just a really stubborn piece of tree root. Usually when I think of cinnamon rolls, I imagine the fluffy, pull-apart kind, dripping with butter and frosting. Devil’s Teeth Baking Company has created something… dare I say… pure evil? My coworker brought a few of these lovelies in today, and the best (and most surprising) part is that the outer layer is crunchy. What is this black magic? Don’t cinnamon rolls bake together? How does this crunchy outer layer happen? DEAR GOD. DO THEY FRY IT? 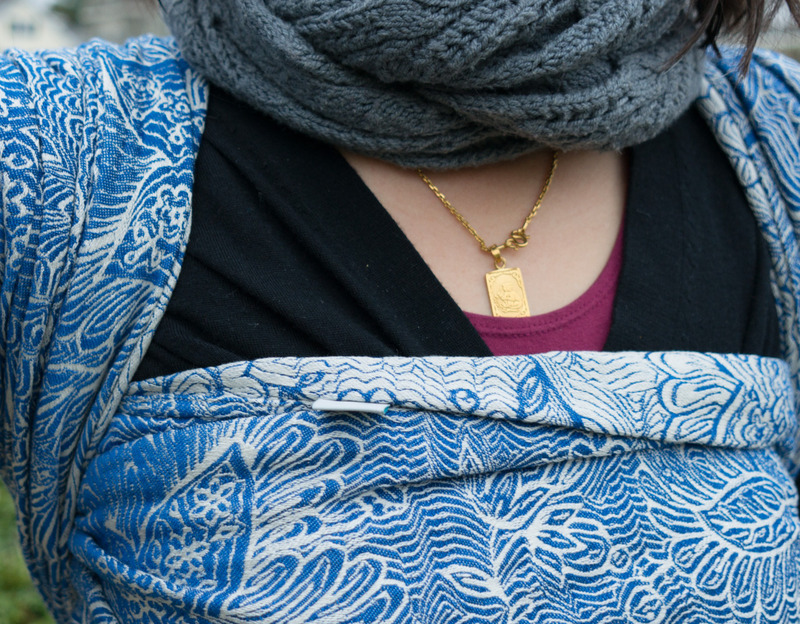 There’s a certain magic to babywearing. One, it keeps your child so close that they are nearly always happy (“close enough to kiss” is the rule for proper baby height when wrapped on the parent’s body). Two, it has eliminated so many parenting problems for me, including car seat abhorrence and lack of quality time after going back to work to name a few. 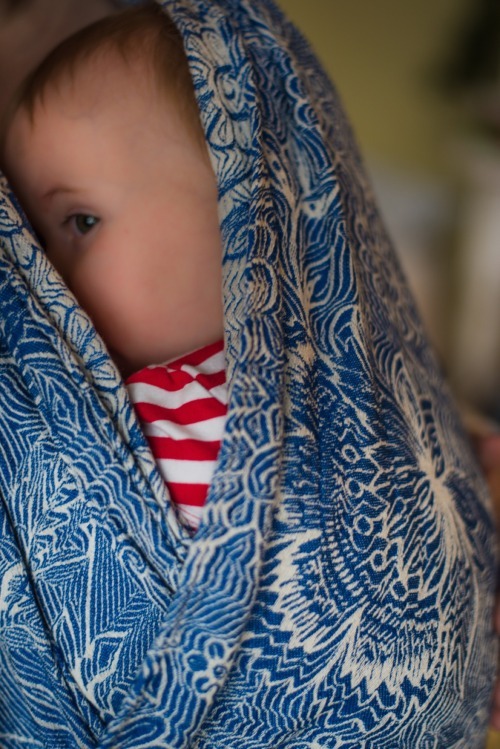 Traveling in particular is a breeze – wrap her up and there’s no crying, no complaining and most times, a great nap in there somewhere. Three, they are devastatingly beautiful. Case in point: Etini Cobalt by Pavo Textiles. Melt. Heart eyes. When you become a mom, a lot of things immediately go out the window. Time for shopping and fashion was the first thing to go, and any clothes I buy are online. I used to have time to browse thrift stores and score awesome pieces at great prices, and now, well I’m lucky if I can find a pair of shoes I like online and get over my trust/quality barrier. It’s a pretty high barrier. However, buying Etini Cobalt took me, oh, maybe three seconds. The weave. The colors. Guh. I just can’t part with this wrap, ever. I don’t know how I’ll use it after our babywearing days are over, but I’m confident I’ll think of something. Today, I break my blogging dry spell, thanks to a t-shirt. So here we are. Thanks, maroon shirt guy. 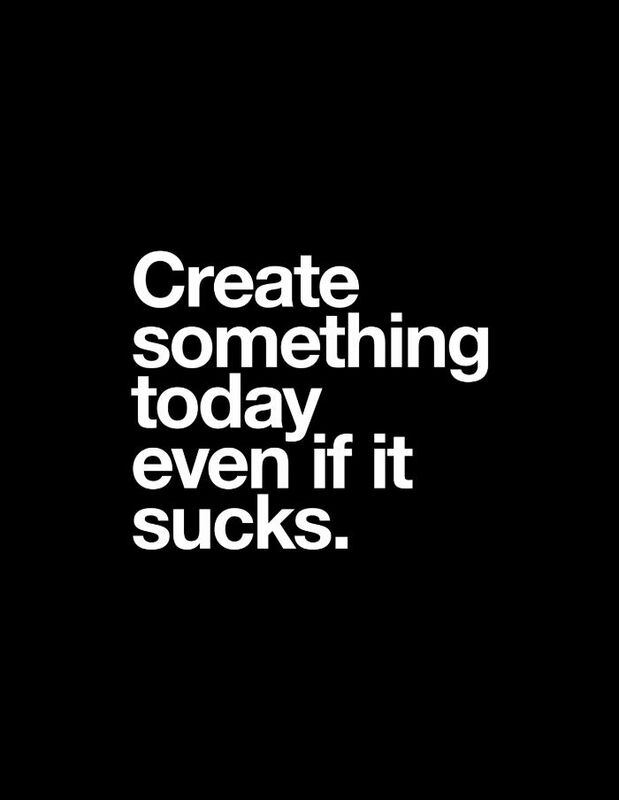 And so what am I creating today? I’ve been hesitant to blog about life with baby because I’m unsure how she’ll react to being written about when she’s old enough to register that she didn’t have a choice. Sorry, Simone, but mommy needs an outlet. We’ll negotiate payback when you’re older. When my husband and I moved into our house in 2012, the first thing I did was tear the garden apart. In the waist-high grass, I found an old shovel with a rotten wooden handle that broke apart in my hands. In the dirt, I found hundreds of tiny, electric green orbs, magical bead-like things that we dubbed fairy balls, whose purpose was a mystery. In the clearing, I found a perfect four leaf clover that I kept and framed. On our 10 year anniversary today, I’d say our love is a little like that garden we moved into: hidden inside ourselves we found broken pieces of each other to mend, hundreds of moments from a fairy tale, and from the first moments were impossibly lucky to have found each other. Bringing our baby girl Simone into the world together is just the beginning, and watching him with her makes my overflowing heart feel like it might explode. Saying I love him feels so inadequate sometimes, because there are no words for this beautiful life we have. Anthony, I love you madly, and all I can do is thank our lucky stars we found each other. Here’s to us, and to growth, and to creating the clearings. There are a lot of reasons why a content audit should be done by one person. Consistency and thoroughness come to mind as two of the top reasons. Recently I completed my second major audit, and in both audits, it just wasn’t possible for one person to do an entire audit. Hello, they have a day job! And the description does not usually include auditing their entire library of content. So, you compromise. You use what you have. The first time around, I had myself, my direct report, and a good chunk of holiday downtime when people were out of the office. This time, I had 7 colleagues all running different categories ranging from food to electronics, and they all had plenty of other priorities. Here’s what I’ve learned – I hope it helps you run a smooth audit with whatever resources you have! 1. Make the goal & benefits really, really clear. Whatever you have to do to encourage your team to climb the mountain that is combing through each piece of individual content, do it. This is best done prior to announcing that you need their help – and it’s also best to remind them of those benefits often during the process. Don’t be above bringing in treats to facilitate – my personal favorite bribe consists of fancy pastries from Tartine or Mr. Holmes. Whatever it takes, people, and that includes cruffins. 2. Create a master spreadsheet formula and stick. to. your. columns. I can’t stress enough how helpful it is to maintain consistency in both the column setup and the monikers you use to identify content. If you have everyone rating the content’s quality, but don’t give clear parameters about what quality means and how to rate it, then you’ll be left with analysis troubles. Imagine going through your quality column of 2K-plus items and realizing everyone has called their top notch content something different, in monikers like “superb,” “excellent,” “really good,” “killer,” “so-so,” “could use an update,” “update,” “update (broken link).” Varying forms of the same word only serve to confuse and distract come analysis time; rein it in now. 3. Talk about how great it will be once it’s over. Breaking the audit into chunks bound by time and task seemed to work best for me. Our first milestone was to pull every title from the CMS along with URL to get an accurate representation of sheer amount of content, and I gave the team two weeks to do this. For some, quick and easy – but for others, this involved lots of deleting of duplicate titles. For the next milestone, I had them pull a page view report on their entire set of content for the past year. With this, we sectioned off the top 20% of content and called it Group 1. The next highest 20% of content was Group 2, and so on. This gave us an indication of performance without pulling in the exact page view numbers, which would have had to be redone practically every month. Although it would have been nice to see exact numbers, the reality of the static spreadsheet we had as a tool made it so that this seemed like the best option. Last, I gave them an additional month to touch every piece of content in their inventory. We ended up having a few extensions, but the milestones definitely helped keep the project top of mind. I’m kicking myself for not doing a good enough job celebrating, but Walmart prohibits me from bringing in champagne for the team due to policy. So, drinking alone at home it is (just kidding). If you’ve had a similar experience and have wisdom to share, I’d love to hear from you. Have you pulled xml files? Copy-pasted like a caveman? Let me know!